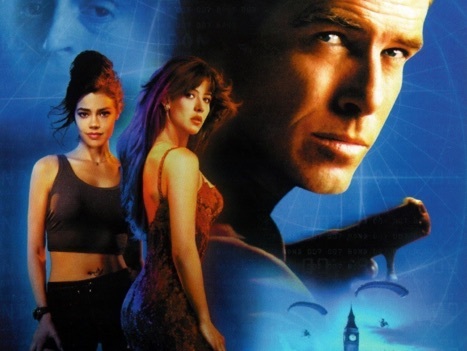 The base set offers 72 cards that cover the plot in The World is Not Enough (1999) with a variety of movie scenes. 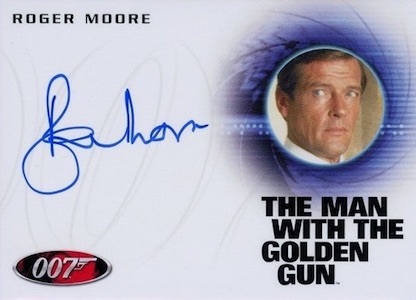 Adding to that and acting essentially as base subsets, Throwbacks come in the form of additional cards for other Bond films — On Her Majesty's Secret Service, The Man with the Golden Gun, and Licence to Kill. 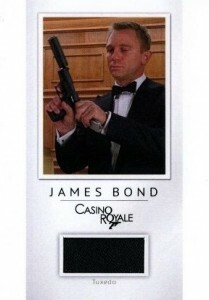 Gold parallels can be found for each movie and they average one per box. 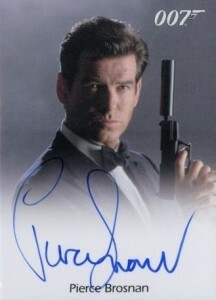 Actor Autographs take top billing with collectors and tentatively include Daniela Bianchi, Ben Whishaw, Naomie Harris, and Sophie Marceau, along with two of the actual Bonds in Pierce Brosnan and Sir Roger Moore. 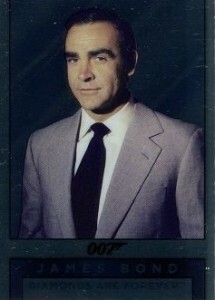 Additional cards include Relics and Spectre inserts. Available separately, a custom collector's album features the space to house the release. 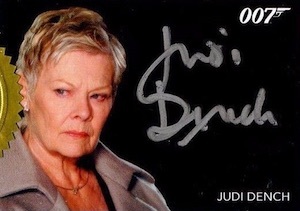 Each album also includes a bonus promo card. 33 cards. 1:12 packs. Short prints noted below. 13 cards, #/200. 1:96 packs. 10 cards, #/150. 1:144 packs.